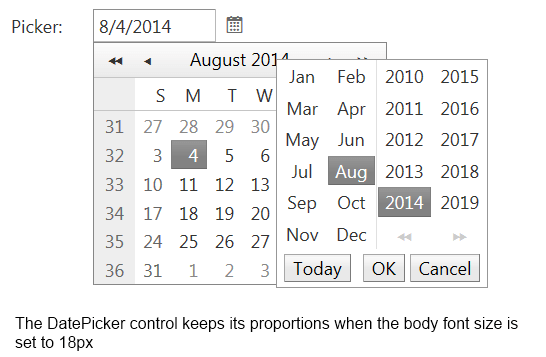 The RadTimePicker control provides elastic and fluid capabilities which allow keeping the control’s component proportion on different mobile devices. The fluid capabilities are simply achievable by setting the control’s width in percentages. 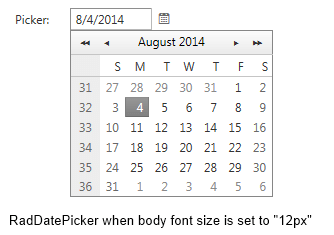 Set the RenderMode property of the Calendar, DatePicker, DateTimePicker, MonthYearPicker controls to "Lightweight"